South Korean electronics giant Samsung will split the LCD division from the company ranks as of April 1, confirming the rumors circulating last week that suggested the firm would turn it into a separate business in an attempt to steer the loss making business out of the red. 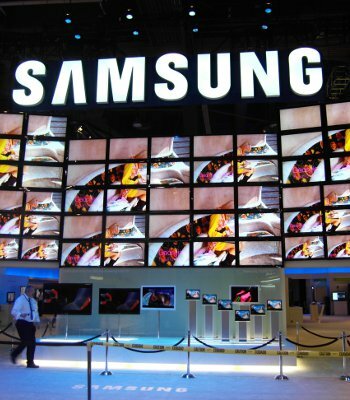 The new corporation, provisionally named the Samsung Display Company will be a wholly owned subsidiary of Samsung Electronics, launching with equity of 750 billion Won ($668 million), which according to the Register is the same value as the units 2011 operating loss. “By being an independently operated company specializing in display panels going forward, our LCD business will be able to strengthen its competitiveness based on the select and focused strategy and take an advantageous position in the future display market ahead of competitors, thereby achieving continuous growth,” the firm stated in its filing (PDF). Whilst the breakup and first day of trading as a separate business will be April 1, the filing also stated that there was a possibility that Samsung Mobile Display, the OLED panel manufacturing unit and the S-LCD unit, formerly the joint LCD venture with Sony which Samsung now exclusively uses could be merged with the new company. “The spin-off will allow us to make quicker business decisions and respond to our clients' needs more swiftly. […] Through enhancements in business competitiveness, we will continue to provide superior products and services for the market,” said Donggun Park, executive vice president and head of Samsung's LCD business said when speaking to the BBC. The world’s largest TV and flat screen manufacturer has felt the pinch more than most due to a drop in worldwide demand, oversupply and decreased profits due to price slashing by the competition as all TV makers fight for consumer attention. Samsung believes the move is crucial in order to remain competitive and will enable the firm to streamline the business as the industry evolves. The move, which the shareholders are yet to approve, will leave Samsung free to invest more heavily in upcoming breakthrough technologies like big screen OLED panel TV sets as displayed at CES last month.